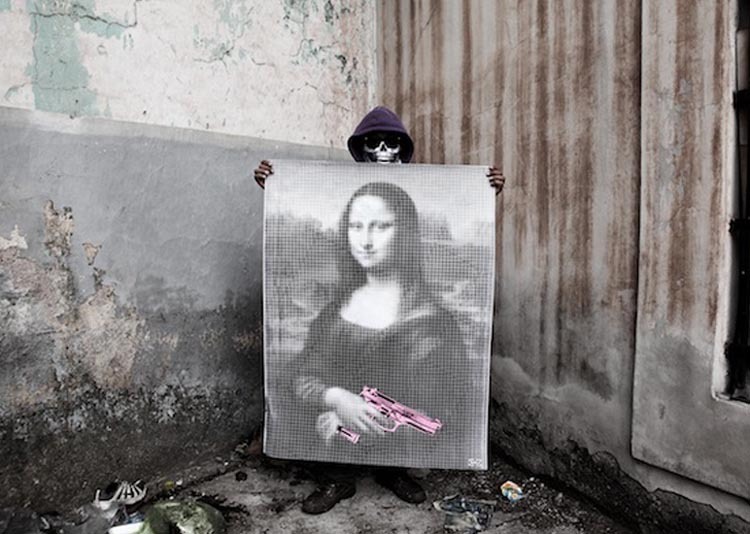 Urban Maeztro the Honduran street artist, wheat-pastes provocative images of iconic paintings, such as the Mona Lisa and American Gothic, adding vividly rendered firearms to the images protesting the terrible gun violence in his country. 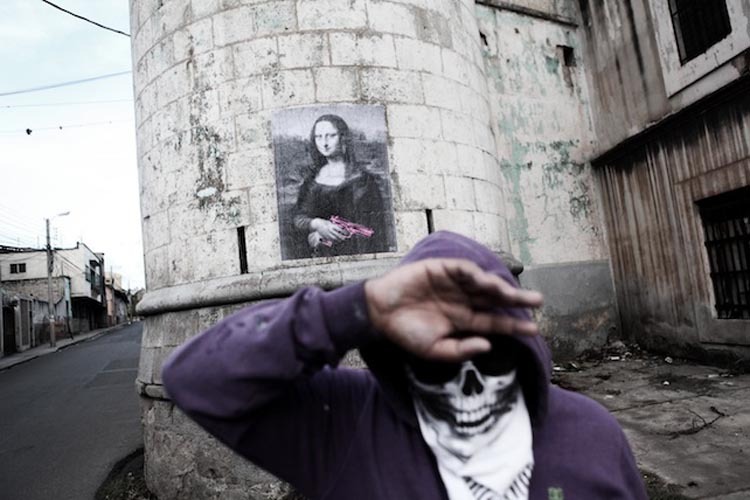 The masked artist has often dodged bullets while posting his art in dangerous public spaces throughout Tegucigalpa, fearing the police as much as criminals. Though in a different — and typically more dangerous — country, parallels can be drawn with Enzo & Nio’s wheat pastings, as they can be with the ever-increasing problem of gun violence and nonsensical deaths in the U.S. as well. Esas paredes se miran bien tumbado loco!